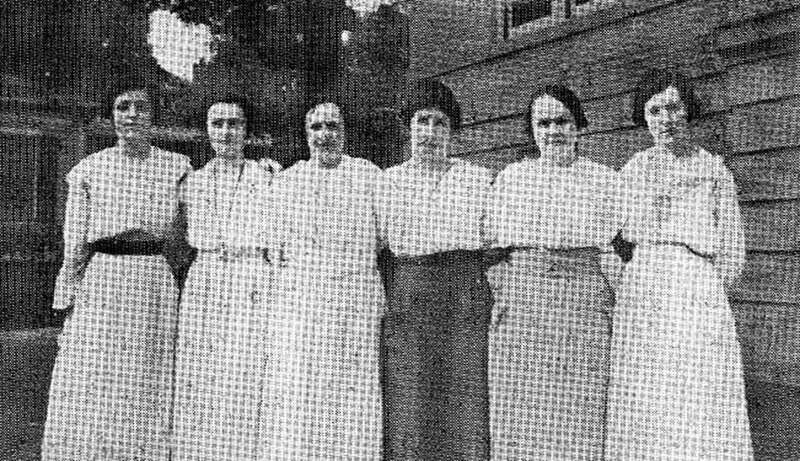 A photograph from New Milford High School’s 1920 yearbook shows members of the school faculty, from left to right, Miss Clark, Miss St. Claire, Miss Daggett, Miss Ferriss, Miss Barton and Miss Searles. The high school during those years was in the building now known as the Richmond Citizen Center along Main Street, which now is home to the New Milford Senior Center. If you have a “Way Back When” photograph you’d like to share, contact Deborah Rose at drose@newstimes.com or call 860-355-7324.